An overhead bridge crane with 360 tons lifting capacity is definitely a heavyweight. And on the road, such a heavy haulage is always an eye-catcher: the admirable overall dimensions are 37 x 6.50 x 4.65 meters. 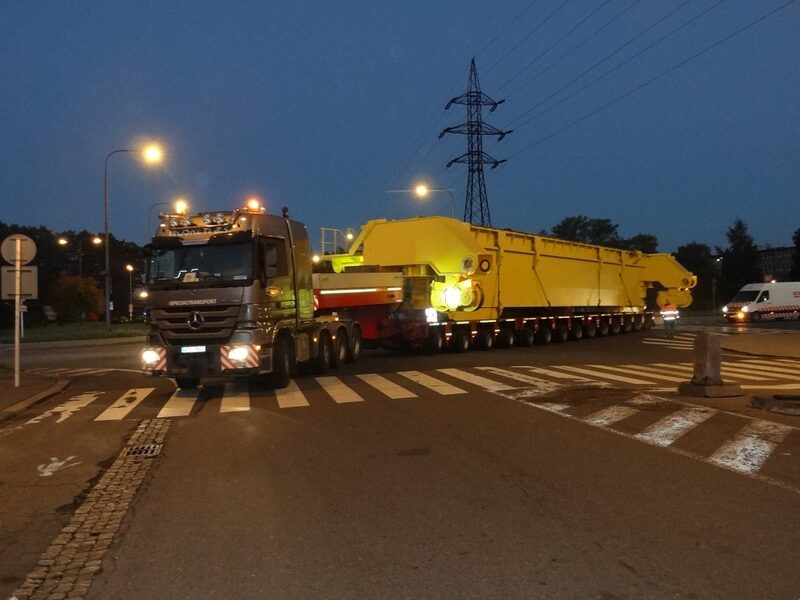 In the middle of October, our new subsidiary in the Czech Republic, Nosreti A.S., transported this crane just in time from the factory in Brno to its destination, a steel work factory, in Ostrava . The large 170-ton combination consisted of a Mercedes Actros 8×4, a low bed, and Goldhofer module axles.